Have you ever had moments where you’re listening to new music and after a couple seconds you think to yourself, “Yeah, this is something I’m going to get attached to,”? The latest release from North Carolina folk duo, Mandolin Orange, had that effect on me the instant I heard those first, few strums of the guitar. What follows is an alluring blend of instrumentation between mandolin and guitar that tug at the heartstrings and allow a tradeoff of moving vocals from Andrew Marlin and Emily Frantz. Their 5th record in their six year career, Blindfaller carries the same emotional weight as their previous releases while conveying the duo’s consistent progression with their art. Marlin and Frantz’s vocals are equally as powerful as to not overwhelm each other, but what really captivated me were the harmonies. Take a can of seasoning for example. You add it to whatever you’re cooking for that bit of extra flavor, but too much of it can take away from everything else. The harmonies on Blindfaller aren’t overused and leave you looking forward to the next meld of notes from the duo. The structure of vocal composition between Marlin and Frantz is definitely something the two have excelled at with their latest record. While Marlin’s mandolin leads and Frantz’s rhythm guitar are clearly the core of Mandolin Orange’s music, some songs off Blindfaller portray a sense of tasteful experimentation that separate this release from the others. The addition of drums and bass on songs like “Picking Up Pieces” and “Hard Travelin’” gave off a country vibe at times while their continual use of the fiddle supplemented the emotion that the two so easily express. It’s so easy to get sucked into this album without feeling like you’re listening to the same song over and over. To me, that’s a great thing especially when it comes to the replay value of an album. 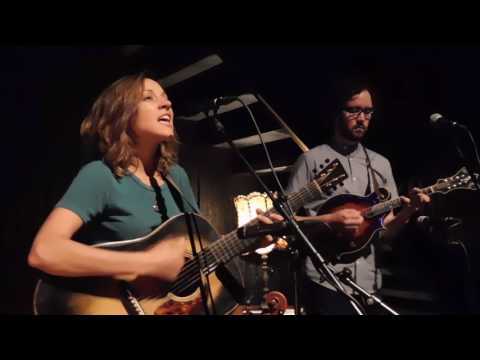 Mandolin Orange are currently on their spring tour and will be performing at the Broadberry on March 25th. To anyone that appreciates raw talent, come shed a tear with me to some beautiful harmonies and passion filled folk music. This is a performance you don’t want to miss! Blindfaller is out now off Yep Roc Records. This entry was posted on March 17, 2017 at 7:07 pm, filed under The Broadberry.